Dear Suzie, Last night I slept so badly that this morning, I woke up exhausted. I finally thought to myself, “Enough is enough! I’m tired of the lies. I’m tired of the promises and all the waiting around. I’ve had enough sadness, enough guilt. I’m done riding this crazy train. I deserve a REAL relationship and a peaceful life. I need to be fully present for my children.” I just don’t know how to end this affair without losing my mind. Congratulations! You’ve reached that “I’m sick of this” moment. This is a turning point in breaking free from the affair. It indicates you are ready to make a true and irreversible decision (otherwise known as resolve) to end it. It means you’re finally ready to embark on the process of reversing your way (both emotionally and physically) out of the affair. Breaking free from the affair is like reversing your way out of a cave filled with sleeping lions. Each step you take as you begin to back out requires you to move with stealth, precision, and careful determination. You’ll need the right perspective. Let’s begin with the first thing. The right perspective means looking at the affair realistically (not emotionally) and making your decisions based on rational analysis (not irrational, emotional wishes). Come out of denial about the real price you’re paying for continuing to participate in this affair. Face the truth (without judgment) about the hidden pay-offs, thrills, and “feelings of specialness” it gives you. Put more weight on the actual behavior (not promises or words) and let those actions be the deciding factor. Take into account all the ways you’ve allowed lies to replace truth. Accept where you’ve compromised, rather than lived with courage. Identify those decisions you’ve made based on emotional needs, rather than on integrity. Be willing to look at all of the excuses you’ve used to justify your actions. Once you begin to compare the reality of what’s happened… to the fantasy of what you would like to happen… the seductive mask of the affair falls away. In its place, you’ll find a shallow illusion that promised heaven but failed to deliver. The emotions stirred up by the affair might be intense, and yet, intensity isn’t the same as intimacy. And although the romantic feelings might feel all-consuming, romance isn’t the same as true love. The good news is, there’s a part of you that already knows this. And that’s the part that’s seeking to break free from this affair. I don’t know if you know this or not, but when an abused woman is ready to leave her abuser, one of the key things that improves her chances of a safe and successful breakaway is the level of preparation she puts into her plan. What do these two experiences have in common? It may surprise you to learn that many affair partners become so emotionally entangled in the affair that they often experience similar confusing signals to the ones people who are trapped in abusive relationships experience. For example, in abusive relationships the abused partner becomes so ensnared by the good times that she blocks out the bad times. In other words, she lives on a diet of what could be rather than what is. The same thing happens in many extramarital affairs. The affair partner becomes addicted to the good times, blocks out the bad times, and also lives on a diet of what could be rather than what is. Another name for this is delusional thinking. This means being unwilling to face reality (what is), preferring instead to live in a state of delusion (what is not). It’s because of “the similarities” between these two types of relationships that proper preparation is one of the important keys to successfully breaking free. 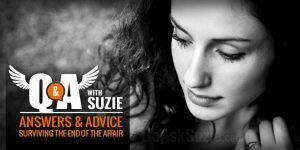 In order to help you gain the right perspective and make the proper preparation, here are my seven steps to breaking free from the affair.